High efficiency and high reliability with low emission of solid oxide fuel cell make them one of the best choices for distributed generation systems. Furthermore, the gas turbine power generation systems are completely developed in recent decades. Hybrid cycle of SOFC and gas turbine gathers these points and introduces the highest possible efficient system for building heating and power. The behavior of this cycle can be studied from a model of fuel cell, gas turbine and balance of plant. For each component a model is developed and the performance of the overall system analyzed by integrating each model. Load variation for SOFC-GT hybrid cycle in residential application is very wide. To adjust the net power and choosing best operation point for SOFC-GT hybrid cycle, an inlet guide vane (IGV) is used in the inlet of the compressor. 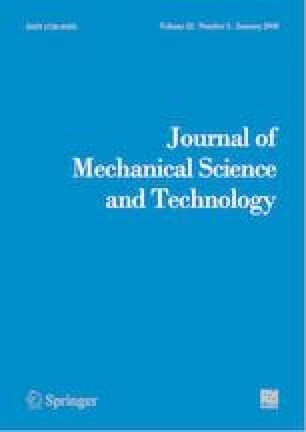 In this study by using a dynamic model, transient effect of IGV angle on performance of SOFC-GT hybrid cycle is investigated. Also this model can be used for designing a controller for safe operation of this cycle while satisfying constraints of the hybrid cycle. Results showed that by using IGV, the off-design performance of the SOFC-GT cycle is enhanced. Abolghasem M. Tousi is a Professor of Department of Aerospace Engineering of Amirkabir University of Technology (Tehran polytechnic), Tehran, Iran. He received his Ph.D. degree in mechanical engineering from Cranfield Institute of Technology. His research interests include experimental and numerical investigation of flow field in turbomachinery units. He is also interested in design and optimization of gas turbine and turbomachinery components. Mohsen Boroumand obtained his B.S. and M.S. degrees at the Department of Aerospace Engineering, Amirkabir University of Technology, Iran, in 2007 and 2010, respectively. His research interests include experimental and numerical design and analysis of gas turbine, dynamic modelling of hybrid cycles and optimizing of CHP systems. He is also interested in the design and testing of turbomachinery components to reach higher efficiency and also optimization of hybrid cycles of gas turbines.